With thanks to Roger Davy for providing the scan. 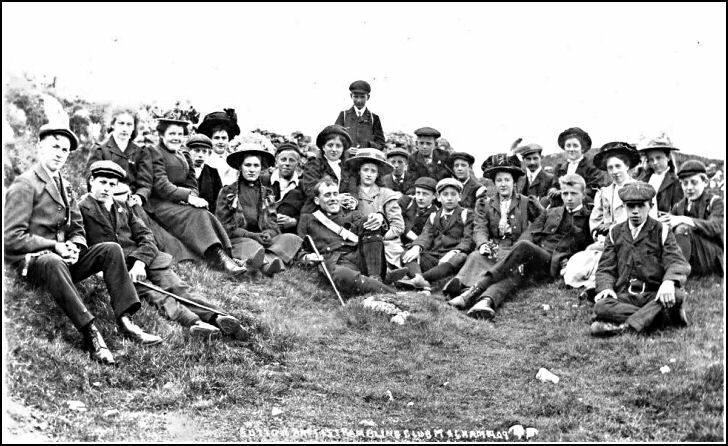 As it is another Bank Holiday I thought you might like to see a photo of the Sutton Baptist Church Rambling Club on an outing to Malham, taken a hundred years ago in 1909. 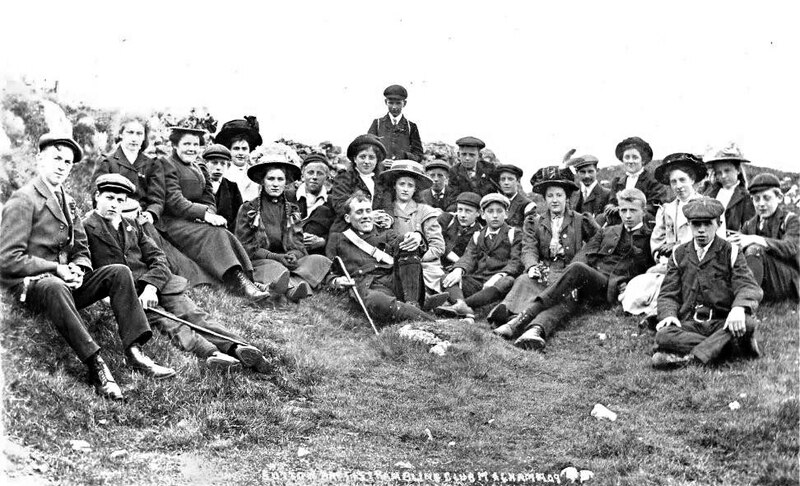 I think it will have been a Whit Monday trip, (Whit Monday in 1909 was on the 31st May), and isn't everyone well dressed for a ramble including some wonderful hats for the ladies. My father Walter Davy appears with some of his friends, including Willie Preston, Charlie Knowles, Alfred Bankcroft, Cyril Midgley and Norman Davy who wasn't actually a close relative unless you go back to the 1500's in Kildwick! All these boyhood friends were members of the scout troop recently founded in the village in 1908. The Baptist Church scoutmaster, Smith Clough reclines in the centre and some of the young ladies also appear as onlookers in the photos of the opening of Sutton Park, elsewhere in the 'Gallery'. I wish there was a way to name everybody.